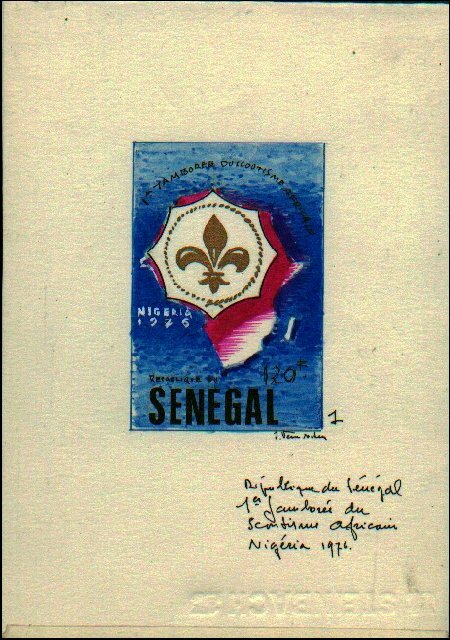 This original artwork is in watercolour and Indian ink, on cardboard for the 1st African Jamboree hosted by Senegal. 100f stamp (Scott #433). It is signed by the artist J. van Noten. Printing was done by Cartor. The event was scheduled for 1976, but postponed until 1977.